Executive Director, Sandy Stack and Volunteer Coordinator, Amy Bratton, had a chance to sit down with guest and friend, Half Moon, when he shared his story. Half Moon started the story a couple years ago, when he moved from Nipawin to Clavet to live with his father; he was working hard as a welder in the neighbouring town, Colonsay. New to the area, he didn’t realize how close he was living to the city of Saskatoon. Once he discovered he was only 10 min away, he began to spend time in the city. All too soon, Half Moon got into alcohol and drugs. He no longer was able to hold down his job as a welder. As his addiction continued, he was offered options to get clean, but he wasn’t ready. He got another job, but again, the addictions took priority and he lost that job as well. During this time, Half Moon heard about places to get food, like “the bridge,” but when he waited at the bridge crossing the South Saskatchewan River that runs through Saskatoon, he never saw the soup and sandwiches he had heard about. Soon he discovered that The Bridge is an organization that serves food from their building on 20th Street. 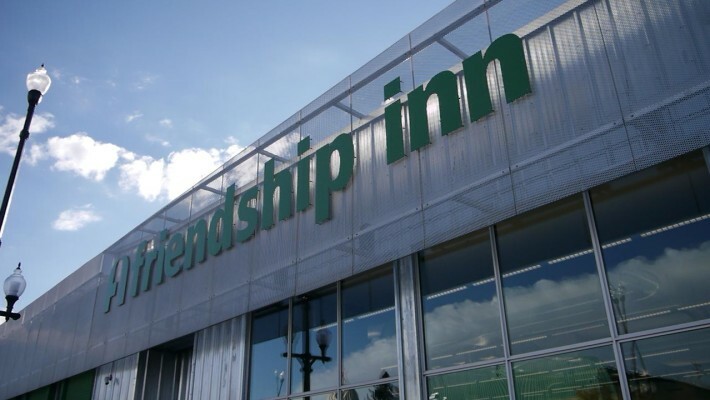 Soon after being introduced to The Bridge, he was also introduced to the Saskatoon Friendship Inn down the road. Half Moon did make a change, he wanted to be able to work and live a better life. He got clean and sober and things have improved. Although, living straight is not easy. He still has struggled, his father passed away, and his son was shot, so he has spent a lot of time in the hospital. He also seeks out support. Besides friendship and the food, Half Moon has also attended AA meetings at the Friendship Inn and utilized the stable services of the family worker to find a safe living situation and to find a job. Half Moon is doing well, he is now working a steady job for the city, cleaning and repairing pot holes. It is a joy to see him with a smile on his face, and willing to share the journey he has been on. At the end of his story, Sandy was holding back tears, and she was so proud of the hard work Half Moon has done.